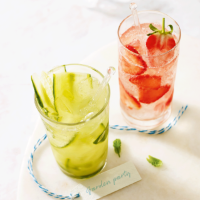 Flavours of elderflower and strawberry makes this the perfect drink to enjoy in the garden on warm spring days. 1. Fill a highball glass with sliced strawberries and ice, and pour over the vodka. Top up with elderflower tonic and serve swiftly.